The latest addition to the Japanese Pokemon card Sun & Moon series is scheduled for release in Japan, on January 19, 2018. This set is called SM5+ Ultra Force. This set will have some additions that previous sets have not had. Sinnoh’s water-type gym leader Wake will make an appearance, as well as some new trainer cards, Ultra Space, Steel Frying Pan and Ultra Recon Squad. Buzzwole will also have a brand new card. In addition, there will be several cards that have an alternate type. 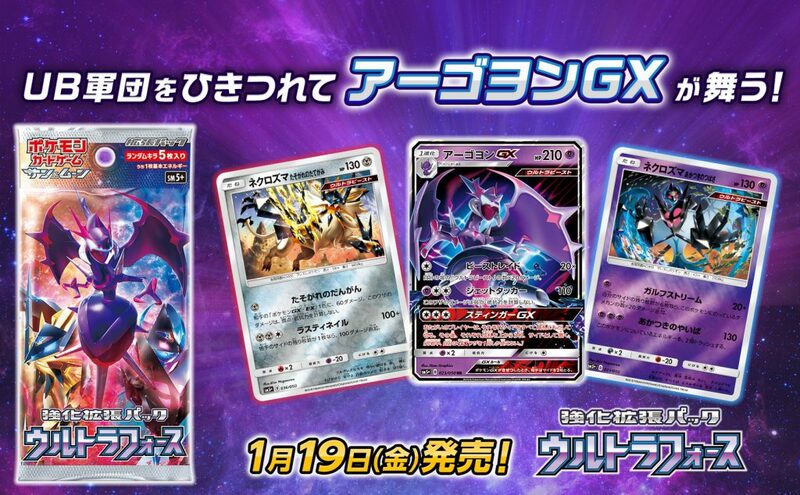 Empoleon (originally a water type) will be reprinted as a metal type, Magnezone (originally a lightning type) will be a metal type, Abomasnow (originally a water type) will be a grass type, Infernape (originally a fire type) will be a fighting type, Palkia GX (originally a dragon type) will be a water type, Torterra (originally a grass type) will be a fighting type and possibly more to come. These will of course be available on Pokevault on January 19th as soon as they are released. This set is absolutely fantastic, for players and collectors! All “base” sets have a reputation for being groundbreaking in the competitive scene and just sought after in general. Black and White was no exception! New “extended art” ultra rare cards were introduced and they are absolutely beautiful. Being the ultra rares in the set its only natural that they are expensive, right? Wrong! Each extended art card (Reshiram and Zekrom) also received regular foil versions in the set as well. This is great for collectors and players; it gives collectors gorgeous ultra rares while keeping the price down on these cards for players. Almost all of the foils in this set are playable; at the very least. Emboar, Zoroark, Reshiram, and Zekrom are the ones that really shine however. Emboar has the “rain dance” power but with fire energy and to any Pokémon! Zoroark can copy any attack on the defending Pokémon for a Double Colorless Energy or search out any one card for a Dark Energy. Reshiram and Zekrom both do 120 damage for just three energy or twenty damage plus ten more damage for each damage counter on Reshiram/Zekrom! The only drawbacks to their attacks are that Reshiram discards two fire energy and Zekrom does forty damage to itself. Maybe you figured it out yourself but Emboar and Reshiram go together amazingly while Zoroark can fit into any deck. Zekrom is better suited in a deck with Pachirisu from Call of Legends and Shaymin from Unleashed. Many of the other cards in this set have a lot of potential, I highly advise you to check out a list of the set! Now what does this set have to offer collectors? Well first off, a brand new foil pattern! Instead of sparkles the foil is horizontal lines which are definitely an improvement in my opinion. Of course the Pokémon are all new so these are the first cards released of these Pokémon. Actually, that’s not entirely true! 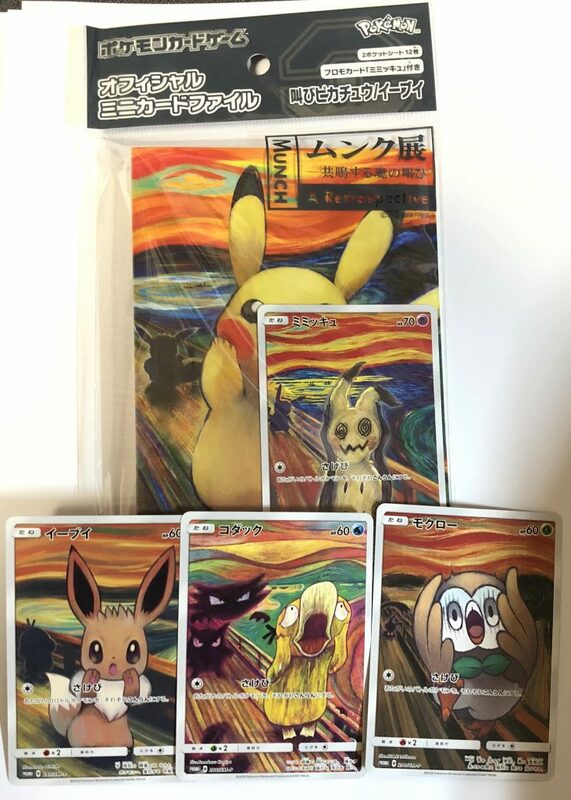 There is a secret Pikachu in this set. It is extremely rare; about one in three to four boxes! Even the “flavor text” for the card acknowledges its rarity. As previously mentioned, there are two ultra rares in this set; Reshiram and Zekrom. There is also an error card in this set and it isn’t just any card; it’s the Zekrom ultra rare. The card was printed on two different backgrounds, one black and one gray with the gray one being the error. All collectors simply have to get their hands on both versions of this card. Like sets before every card except the ultras and the secret comes in reverse foil version. Gotta catch ‘em all! Overall, the Black and White TCG set is a great investment for anyone who likes Pokémon. Of course if you’re reading this you like Pokémon so go out and buy a few packs of this set. Some packs even come up with codes for the upcoming online Pokémon card game making the set an even better deal. Packs with codes can only be found at hobby stores however, meaning if you want the codes go out and support your local game store. That’s it for the Black and White set, peace! 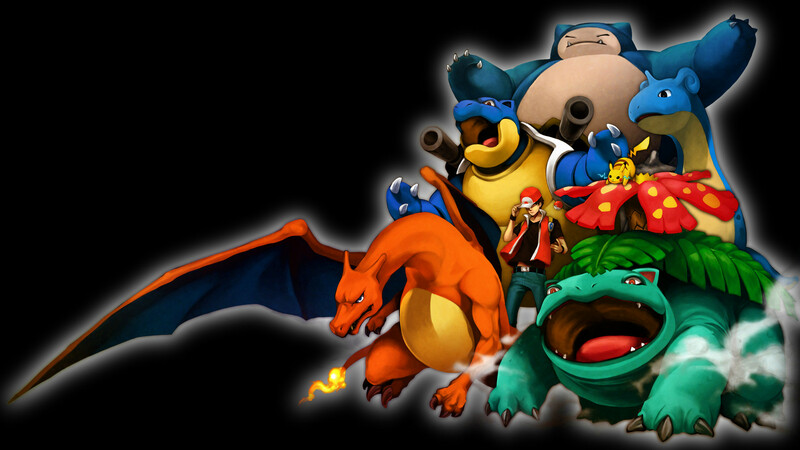 Hey there Pokemon fans, welcome back to another article with Kohrok! Today, we’ll be discussing the latest US set, Noble Victories! The 101-card set was released on November 16, 2011, and it promises to be one of the best sets yet. With 5 full-art cards and a secret rare, it rounds out the Black/White Collection quite well. In addition to rare cards, it also contains a number of cards that offer potential in the form of abilities, some of which we will look at today. First off is Victini (14 and 98), available as a regular holo and as a full-art card. The attack, “Stored Power”, offers a decent 30 damage for (Fire) (Colorless), but it hardly compares to Victini’s ability. Aptly named “Fliptini” by fans of the game, it has caused a huge run on probabilities, leading the entire fan community to begin to get concerned about coin flips and mathematics. The ability, usable one time per turn, allows for the coins used in an attack to be completely re-flipped. Although having multiple Victini in play will not allow the ability to be used multiple times, the ability to re-flip offers huge potential for any coin-flipping deck. Key partners include Sharpedo (TM), whose “Strip Bare” attack now has an increase in success probability, resulting in a 43.75% chance of success. It’s not quite a doubling, but it is an improvement, that will surely lead to an increase in coin-flip play. The second card to focus on is Chandelure (60). Although not terribly impressive offensively for a Stage 2 Pokemon, it’s (stackable) ability allows you to place 3 damage counters on your opponent’s side of the field, as long as Chandelure is active. The retreat cost of 2 hurts, but by playing Dodrio UD, you can utilize the “Retreat Aid” Poke-body to reduce that to 0, allowing for a free retreat every turn. By playing 2 Chandelure, you open the door to place 6 damage counters and attack using “Eerie Glow” for 50 Damage, burning and confusing your opponent. Current decks plan on running high counts of “Switch” to help allow for additional damage placement, and some decks have opted to look at Kingdra Prime (UL) to allow for even more damage placement, creating (with 2 Chandelure, Dodrio, and 2 Kingdra Prime) the ability to place 8 damage counters onto the field, each and every turn. This same capability, utilized by Garchomp C Lv. X over the past two seasons to great effect, is an extremely potent combination. Even though set-up will be required, the use of Twins (TM) and Rare Candy (UL) offer the ability to get set-up faster and more effectively. A fully powered Chandelure will be a threat, and with a full set-up, it may be even stronger than before. Hey guys! I’ve wanted to write a review about my Emerging Powers Pre-Release ever since I went back in September. I’ve been putting it off partly due to my forgetfulness and partly due to being busy. I’m going to start now before I start to forget all the details. This was actually my first event to anything regarding Pokemon, so I was anxious because I didn’t know what to expect. I arrived shortly after 11:00 for registration and to my surprise, there was a line outside of the venue. There must have been around 25 people there and more continued to trickle in. Once inside, I helped put down chairs and waited patiently as the organizers were setting everything up. I waited about 30 minutes after I registered. I made my Pokemon Play card and received a deck box and a promo Gigalith. Unfortunately, they didn’t have enough deck boxes and Promo cards for everyone. They did have some extra Black and White deck boxes from the previous Pre-Release as replacements for those who couldn’t get the Emerging Powers deck boxes. I made some small talk with others around myself as I waited. I felt a bit anxious at first because I was in a new environment revolving around a children’s anime, but eased up as the day went on. All of us were given 6 Emerging Powers booster packs at around 12:00 and it was off to the races. I quickly learned from the others as they opened up their packs quickly and organized them into piles based on types. My childhood memories of getting bad pulls came back to me as I opened each pack. I actually spent a long time looking at the new cards in my first pack, but had to pick up the pace because everyone else were on their 3rd or 4th. I really like the artwork and the reverse-holo style. I can’t remember all the contents of my 40 card deck, but I know I decided to make a metal and grass deck. My single holographic was a Cobalion and I knew I had to put him in my deck. The only other metal Pokemon were Ferroseed and Ferrothorn. I also threw in a Basculin and a water energy at the last minute. This turned out to be a bad decision. I think there are only like 4 Fire-type Pokemon cards in the set, so I shouldn’t have been worried about fire weakness. I played 4-5 matches and only won once. The one time I did win was because of Lilligant. Everyone else I played got Tornadus, Thundurus, or one of the legendary beasts out within 2 turns. It was ridiculous! One guy I played pulled all 3 legendary beasts (and used them too). I didn’t stay for the entire thing, but I was glad I went. I was really disappointed at my pulls, but it was still exciting. Out of my 8 booster packs, I didn’t pull a “good” Beartic, a Pokemon Catcher, any version of the genies, and only 1 holographic. I pulled a “bad” Gothitelle out of my final pack, which kind of sums up the entire day. If you’re thinking about getting into Pokemon, going to a Pre-Release is a great way to get introduced to the environment and atmosphere of competitive play. There are no prizes for winning at Pre-Releases, so you only have to worry about having a good time. Kenny Wisdom here again, with a rundown of what I feel is the best card art in our new set, Pokemon Black and White: Emerging Powers. I don’t have a whole lot of time on my hands to write, so let’s get right down to business. Unlike the next two cards I’m going to be talking about, this guy isn’t cute at all whatsoever, and really wins based off of ridiculousness factor alone. I’ve always thought that the Patrat and Watchog lines were pretty insane Pokemon in general, but the art guys over at PCL really took it to an entirely new level with this card. The way that he stands out from his background and that his “shirt” or whatever that thing is supposed to be is so bright that it almost looks over-exposed makes this card stand out immediately in your draft pool. Just looking at this guy with his hands on his hips and crazy eyes makes me crack up every time. Ugh, I’ve got to move on now. This card wins purely based off of the cuteness factor. The art in this set is all pretty decent, but in going over it nothing really stuck out except for this ridiculously adorable little guy. It took me a while to decide between this Rufflet and the other one, as obviously they’re both the same Pokemon and therefore both look nearly the same, but the background on this Rufflet is strictly better, in my opinion. I’m not the most well-versed in art, so I’m not sure exactly what to call it, but I’d maybe say that it’s some kind of painting? All I know is that it looks adorable, and I’m definitely going to hoard reverse foils of this little guy, as I try to do with most cards that look gorgeous. Evaluating Pokemon card art in the BW era is going to be difficult with the introduction of full art cards, which are prettty much strictly better looking than anything else in the set (and really, most other Pokemon cards ever). Although Tornadus and Thundurus are basically the same Pokemon, as is the same situation with Rufflet, I feel as the background makes this guy slightly worse. Bright yellow is a better color than gray, I guess. Again, all I can really say about this card is that it’s a gorgeous full art and that the background is better than it’s countparts background. I’d also argue that the blue coloring of Thundurus himself is better looking than Tornadus’ green body, but I guess that’s all a matter of opinion. As a sidenote, the foiling and texture of these cards are also great and really add to how great these things look. I can’t wait for the next set of full arts to come out in the next few months, but I suppose that’s a discussion for another article. That’s all I’ve got for today. I’ve been writing quite a bit, so hopefully you’ll be seeing a bunch of Kenny Wisdom articles on Pokezine in the coming days. Hey guys! Today I’ll be doing a review over the Zekrom (47) and Reshiram (26) cards from the Pokemon Black and White Set. I’ve been pulling a lot of them from my Victini Gift Box Set, a couple of blister packs, and from the Zekrom and Reshiram tins that also come with Promo versions. I have 4 Zekrom cards (1 secret rare, 1 promo, 1 holo, and 1 reverse holo) and 4 Reshiram cards (1 secret rare, 1 promo, 2 holo). I wish I had been this lucky with getting Charizard from the Base Set. Before I get to the specifics, I’d like to discuss the artwork. Both look great and have a nice background. The holographic adds a nice touch, but I would prefer any other previous holographic style than the streaks used in B&W. Let me say that the secret rare full art versions of Zekrom and Reshiram are just gorgeous. Pictures don’t do them justice; you’ve got to see them in person. I’ve pulled a secret rare Reshiram, but purchased the Zekrom. It turns out there are now 2 different types for each secret rare full art. The older print of the Zekrom has a black background whilst the newer print has more of a grey background. The older print of the Reshiram supposedly looks “lighter” than the newer print. They are also supposed to feel and reflect light differently, but as I only have 1 of each, I cannot compare. Zekrom is a legendary dragon and lightning Pokemon. It is portrayed as a lightning Pokemon in this set. It is a Basic Pokemon with 130 hit points, 2 attacks, a x2 weakness to fighting, no resistances, and a 2 energy card retreat cost. Outrage costs 2 colorless energies and does 20 damage plus 10 more for each damage counter on Zekrom. With a hefty 130 hit points, Zekrom can potentially do 140 damage with Outrage. Bolt Strike costs 3 energies (2 lightning, 1 colorless) and does 120 damage at the cost of 40 recoil damage. Bolt Strike is an excellent complement to Outrage. Reshiram is a legendary dragon and fire Pokemon. It is portrayed as a fire Pokemon in this set. It is a Basic Pokemon with 130 hit points, 2 attacks, a x2 weakness to water, no resistances, and a 2 energy card retreat cost. Reshiram also comes with Outrage and it is the exact same move as Zekrom’s. His secondary attack is Blue Flare. It costs 3 energies (2 fire, 1 colorless) and does 120 damage, but requires Reshiram to discard 2 fire energy cards. Hello Pokeman fans! I recently purchased a Victini Box Gift Set in hopes of pulling a secret rare. It came with 5 black and white booster packs, a promo Zoroark card, and a little Victini figure. Although I pulled an awesome secret rare full art Reshiram (in my first pack! ), I want to talk about the Krookodile I also pulled. At first I didn’t give it much thought. When I pulled it, I said “Oh, that’s nice,” and set it aside. Some people absolutely love Krookodile, but I thought he looked goofy, ferocious no doubt, but still a little goofy. I even chose to go with Drilbur-Excadrill instead of Sandile-Krokorok-Krookodile in the video game. However, I really started to appreciate the Intimidation Pokemon after pulling a second one from a random booster pack. I haven’t played the trading card game in over a decade, but I’m certain this Krookodile card (65/114 B&W) is a force to be reckoned with. Krook is a ground type with a x2 weakness to water and a -20 resistance to lightning. His two attacks, Torment and Krookoroll, make a deadly combo. This is actually the first card I have seen with the attack Torment. It requires 2 colorless energy cards and does 30 damage and you can disable one of your opponent’s Pokemon’s attacks. Of the new 94 Pokemon cards introduced in the black and white set, 28 of them have only one attack. That’s over a fourth! Torment effectively disables those Pokemon, making them punching bags for our favorite crazy crocodile. Pretty much any Pokemon with an ability is also unable to dish out damage (I’m looking at you Emboar, Serperior, and Samurott!). Of course your opponent can switch his or her Pokemon, but the retreat costs will add up while you Torment away. Krooks’ second attack Krookoroll requires 2 colorless and 2 fighting energy cards. Krookoroll does 60 damage plus 40 if the defending Pokemon already has any damage counters on it. Not many cards can withstand a Torment-Krookoroll combo dealing a whopping 130 damage. Krooks does have a 3 energy retreat cost, but his 140 hit points ensures his staying power. Although the game of Pokemon has been a huge success worldwide, there are some players who want to make games like these available to everyone. Thus, the Pokemon RPG (Role-playing Game) was born. Programmers use sprites from various database sites like Bulbapedia to power their games. What they try to do is replicate the storyline from all the Pokemon games, and maybe add a few slight twists to the game. All of the Pokemon RPGs I have seen have qualities like starter Pokemon, a slightly advanced battle system, and the ability to communicate with other players. Most of the time, it is like a simple game of Pokemon, but a slight change in game mechanics, such as the power of certain moves, or the effectiveness of status conditions. After you get used to it, you can build strategies around them, and create a Pokemon team, although it may not be as greatly detailed as the ones you build with a Nintendo console. A few years ago, I would play these, since I was impatient for newer games. Two great ones I was a member of were PokemonCrater and TPPC. PokemonCrater was created by Aaron, a programmer who abandoned the site when he graduated from high school. It was exactly like the original games, with the ability to compete with other players, but when he closed down the site for good, people were amazed and confused. Currently, there’s a new PokemonCrater, but nothing will ever replace the qualities of the old. TPPC is programmed by Andrew “Shrimpy” Stein, who lives in New York. His Pokemon RPG, known as The Pokemon Player’s Corner, is known best for supporting Pokemon whose levels can exceed 100. So far, about 2 million players have signed up, but that was a few years ago, when I stopped playing. By now, its popularity has decreased, and the number of active players are stagnating, since he has not made any changes since Generation IV.